Do we now live in an age of ‘alternate’ facts? According to Trump presidential advisor Kellyanne Conway, we do. So what has changed? For one, the Mountain of Mendacity in the Oval Office leads the charge with a constant stream of specious claims. Not long ago, political and business leaders who wanted to confuse or derail a scientific agenda relied on once prominent leaders in science to muddle the message. A good example is the tobacco industry, which labored to deny tobacco’s adverse effects, delay legislation and then develop a coterie of its own alternate facts voiced by scientists paid to influence opinion.. 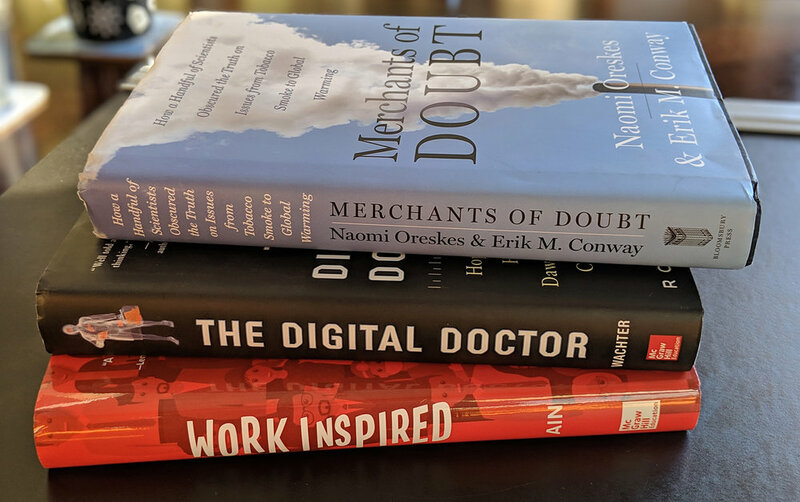 In Merchants of Doubt, authors Naomi Oreskes and Erik Conway open the playbook used by scientific shills working to foment confusion and forestall vital market and political changes. The so-called experts denied the truth of studies linking smoking to lung cancer, coal smoke to acid rain, and CFCs to ozone holes. Today, scientists – in virtual unanimity – issue siren calls to spur political and economic actions to reverse course on climate change. And still there are scientists who deny the role humans play, believing you can get what you want if you argue with enough conviction – even without the facts on your side. How do they get away with it? The mainstream media has played a major role by adhering to the Fairness Doctrine, a relic of the FCC intended to ensure fairness or balance in reporting by mass media. The unintended consequence for us, however, is too often equal time for unequal views.